Under current appraisal! 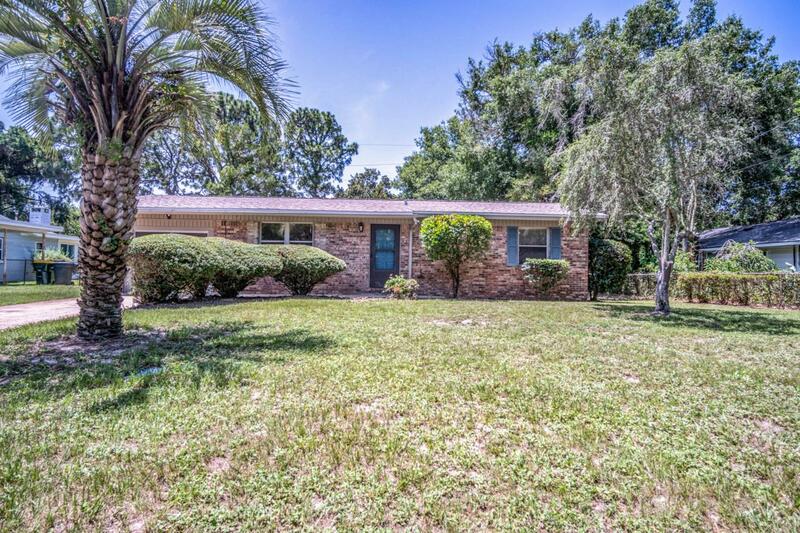 Ideal Location, situated in FWB, this 3 bedroom 2 bath home has all the energy saving updates-New Roof (with second water barrier in 2018), double pane windows, and HVAC unit (2013) and copper wiring. This home will enchant you as you walk into the living room with wood flooring. All the walls and trim have been recently painted neutral colors throughout. This is a split floor plan with two bedrooms with carpet and ceiling fans and a full bath. The master bedroom is large and features carpet, ceiling fan, walk in closet, and full bath. The kitchen boasts dishwasher, electric stove/oven, and side by side fridge.There is a LARGE bonus room/family room to spread out and enjoy your new home. Step outside and relax under the covered porch overlooking the fenced yard. Listing courtesy of Spence Properties.